If you are planning on reaching new results in terms of strength as well as lean muscle mass, you will probably be thinking about the anabolic steroids. Only they will allow you to overcome all the natural obstacles and will help you reach the end results that you are craving for so much. With that said, before you take any of the steroids, it is highly advisable to consult a qualified as well as genuinely experienced healthcare expert. However, if you have made up your mind already, you have two choices – take the pills or inject the steroids. And while the pills are looking like a less harmful and less painful method, do not be fooled – the pills will get straight to your liver, which will in turn have to digest them and may cause some serious problems. 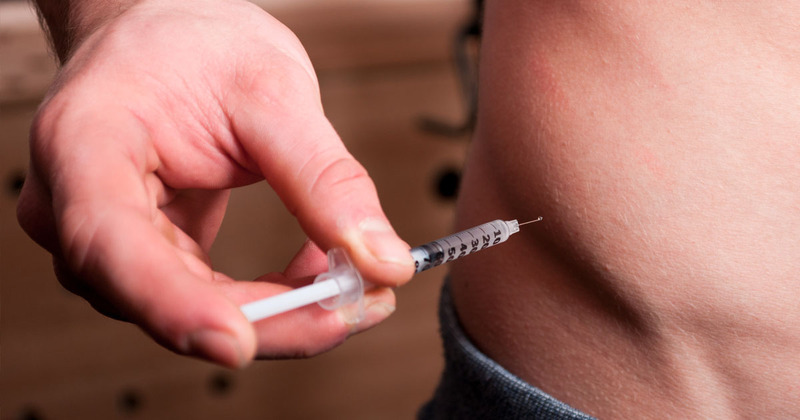 Should you inject the steroids, though, the active substance is going to quickly reach its destination without affecting the liver in such a detrimental manner. Well, now another question rises – how do you inject the steroids safely? Well, first of all, you will need a syringe. It will need to be a new one. If you dropped it on the ground or put the needle somewhere on the floor, just throw it out and get a new one. It is very important not to use the same syringe twice and it is not only applicable for steroids, but for any substances as well. Do not forget that you MUST NOT inject the steroids into your veins, since it will cause a painful death and it is no joke. There are three places where you can inject them – upper outer quarter of the gluteus muscle, outer thigh and your deltas. Do not attempt to insert the needle anywhere else – you can easily cause irreparable damage. Also, do not forget that the syringe must not contain air inside it – it is also a crucial issue and may well cause death if you are not careful, so pay more attention. Otherwise, the process is no different than making an injection of any other remedy – sure, it may be painful, but you need to think about the end results and tolerate the pain. However, of course, it is always best to let another person, who is skillful and qualified do the injection to begin with.